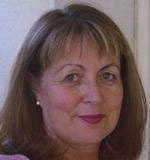 Self effacing, warm, always positive Mary Wyatt is a consummate professional dedicated to return to work. She graduated from Monash University Medicine with Honours winning the Carnation Award for Paediatrics in 1979. For the following six years she enjoyed postings in a variety of exotic locations. Beginning with Darwin then Abu Dhabi, UAE and KwaZulu. Mary still has a preference for hot weather, very hot weather. Returning to Australia to General Practice in 1986 Mary undertook further study gaining a Graduate Diploma in Occupational Health in 1995 and a Masters in Public Health in 1998, followed by a Graduate Certificate in Musculoskeletal Medicine in 2002. She became an Occupational Physician in 1997. In the area of return to work Mary has worn many hats: treater physician, assessing physician, reviewing workplaces for return to work, conciliator in dispute resolution, and as a manager involved with the development of effective return to work systems. She teaches at Monash and was a member of the Victorian WorkCover Advisory Committee from 1993 to 1998, serving on a number of sub committees primarily concerned with the development of back pain guidelines for Victoria and the world leading public back campaign. In 2001 Mary won the Volvo Award for Best Clinical Research Paper in back pain. Recognised nationally and internationally for her work, Mary's friendship is prized for her wonderfully warm and supportive personality. Her dedication to making a difference in peoples' lives led to Mary and others to establish OccCorp in 2001. There she managed a team of 25 case managers to coordinate return to work across a range of industries and company sizes. Returning to private practice in 2005 Mary founded and remains Chair of The Foundation for Research into Injury and Illness in the Workplace (ResWorks) a non profit organisation, which developed the Return To Work Knowledge Base, and led to the development of Return To Work Matters as an online network and resource for Return To Work Professionals which she edits. Mary chairs the Australasian Faculty of Occupational and Environmental Medicine Policy Committee and is a member of the College of Physicians Policy and Advocacy Committee. All this while bringing up a family and dealing with a husband who would rather be fishing. Mary's is the mind that directs the support services, resources and research material on the Matters site, while ensuring that the highest ethical standards are maintained. In part two of our three-part series, Dr Wyatt explains common neck and back problems and gives practical tips to help employees manage them at work. WorkCover Queensland! But unlike the Olympics, we'll happily hand out more golds to others with similar relationship development. In part one of a three part series, Dr Wyatt covers the basics of musculoskeletal conditions, including difficulties employees face. A simple but effective South Australian initiative helps physios communicate with GPs about patients' functional abilities. In some jurisdictions, claim lodgement processes have become more user friendly and proactive about early intervention. What are the benefits? President Donald Trump is one of the 21st century's great persuaders. This series looks at the tactics he uses well (and not so well). First up, pacing and leading. Actually, we don't believe you, Mr President! In the second in our series of articles on the persuasive tactics of Donald Trump, we look at one of his weaker points: reciprocity. In this article on Donald Trump and the art of persuasion, we examine the way small commitments become big ones. Authority builds trust, a powerful persuasive tool. In our fifth article on persuasion and Donald Trump we ask what can we learn from boasts about wealth and intelligence. Carpal tunnel: The nerve of it! An introduction to the physiology, symptoms, diagnosis and treatment of carpal tunnel syndrome. Work activities can contribute to the development of carpal tunnel syndrome, but prevention and recovery are also possible in the workplace. An introduction to knee injuries, covering the most common types of work-related knee problems, as well as the important questions to ensure accurate diagnosis. The DOs and DON'Ts of best practice early intervention following knee injury. This webinar expands on the previous presentation on independent medical assessment basics. Our best content is now easier to navigate. Keep an eye out for new research and resources that will make a practical difference in RTW, coming soon. Mr L, a tall, solid-framed, right-handed 58 year old man, reported pain in his right elbow. While improvement was reported over six months, he began to notice similar symptoms at his left elbow. This case study looks at the additional injuries which can occur as a result of the workplace injury. This case study explores the importance of providing options for the injured worker's return to work. Competencies supervisors need to affect positive RTW outcomes for workers suffering musculoskeletal conditions and mental health conditions. Telephonic methods can be used to assess the clinical and work participation needs of people with common health problems. For many injured workers, the greatest challenge is not the extent of their injuries but the depth of their despair. The elements of quality case management that achieved impressive results. Does neck pain and its consequences change over time? The age-old question: Does work cause spinal problems? Dr Mary Wyatt shares her experience as both clinician AND neck ache sufferer and concludes that self-management beats the medical route. Why we should look carefully. The sciatica of the neck - another version of radiculopathy. A closer look at one type of neck pain. Epidemiological studies show that whiplash rates vary enormously between jurisdictions. Why? Picking up a long-term case for the first time can seem daunting. Here are a series of steps to help you structure your approach. Musculoskeletal disorders are a leading cause of compensated injury, but what exactly are they? How do you deal with musculoskeletal disorders in the workplace? How to deal with those cases that don't fit the usual template, and how to get those employees back to work. What is a good workplace culture? What effect does workplace culture have on injury and return to work? ...What even is workplace culture? This course covers the importance of health promotion and its effects on productivity, in the context of implementing a health and wellbeing plan in the workplace. How to go about bringing an employee back into their job fast and effectively. This article outlines how to set up a program to deal with workplace disability, and the responsibilities of each member of the organisation in achieving quick and effective return to work. Standing workstations can create problems. We look at how you can minimise these issues and provide a better workplace. Seated workstations are not complicated to set up well. We cover the basics so you can help others avoid problems. This introduction to ergonomics introduces the basic principles of ergonomics and why you'd want to address it at the workplace. Combining ergonomics WITH participation opens up a treasure load of possible solutions. Successful surgery starts with the best decision about whether surgery should be performed. Leading the pack or dragging it down? When one part of the system underperforms, the others follow suit. Interview with Garry Pearce, Director of Rehabilitation for the Tasmanian Department of Health. Disc bulge, disc degeneration, disc protrusion. Terms that worry patients, most of the time unnecessarily. What works and what does not work in the decision making process. How you cannot afford to get it wrong, and how you can get it right. Why train supervisors and line managers in return to work? A Powerpoint presentation on the whys and wherefores of supervisor training in RTW management. Overcome the common barriers and ensure employee buy-in. Want to boost productivity, improve job satisfaction and reduce the incidence of musculoskeletal injuries? Should workers' comp recipients share treatment costs with their employers? The use of opiates in chronic pain cases should be carefully monitored. Patients need a high level of support and a good understanding of treatment options. What's the go with Rehab in the US? Our first ever multimedia feature! An interview with Mary Harris, US disability management professional, exploring the three key challenges facing RTW in the US. How much do we know about how different workers' comp systems influence health outcomes? And what could we do with this information? What do you do with a toxic doctor? Ten tips to loosen your tongue and ease your mind when that big presentation looms. From the hot tubs of New Zealand to the bread and butter of a RTW Coordinator's work. Back pain flare-ups are a normal part of recovery. In response to a reader's questions, our resident Occ Phys explains how to encourage a proactive approach to return to work. Despite growing perceptions that workplace activities cause and complicate injuries, the evidence suggests the opposite. We need an Industry Association, how about it? Let's get better organised - our response to a reader's request. Our advice for legislators? Don't rearrange the lounge suite while there is mildew growing up the walls. Can we cooperate for workplace health and wellbeing? And can the UK show us how it's done? What does research say about Early Intervention? In response to a member's question, we find that the early bird gets results. It's time to question whether some workers should be spared the compensation process. Just how painful is injury reporting? RTW Coordinators: be true to yourselves! You can't afford hit and miss. What works, what doesn't and how can you market tried and true solutions to your employees? Spine surgeons who've had spinal surgery provide the know-how for this briefing paper on recovery and RTW. Ever wondered why some musculoskeletal injuries don't resolve as quickly as they should? Understanding how 'the system' can trip up the people it is supposed to help is the first thread in a safety net. Durable RTW - was life meant to be this hard? Why are the numbers of people making return to work more difficult increasing? Strategic planning - how can I and why should I? Arranging resources helps to achieve long-term workplace objectives. Here's how to make injury management planning work. Are Docs Asking the Right Questions? There's more than meets the eye when it comes to patients at risk of poor return to work results. RTW coordinators make a huge difference, but how do we find, develop and promote the right people for the job. Compensation: More painful than surgery? There is a correlation between compensation and poorer surgical outcomes. What can be done? Is it 'compensation' or 'rehabilitation'? The principles underlying successful RTW are universal, but we think their application differs depending on the part you play. How patients communicate has an important influence on the treatment they receive. Tests vs. Symptoms - which wins? Is it useful to know the pathology of a wrinkle? Work disability research - why bother? How do doctors assess a person's ability to work? Medical assessments of work capacity are not always defined by what a worker is capable of. Should they be, or is it reasonable for doctors to take other factors into account?